Teachers design, develop, and evaluate authentic learning experiences and assessments incorporating contemporary tools and resources to maximize content learning in context and to develop the knowledge, skills, and attitudes identified in the Standards•S. 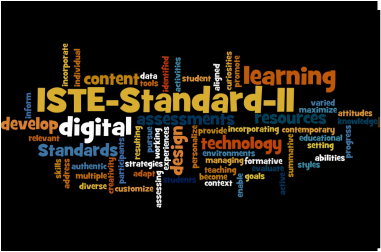 Standards•T © 2008 International Society for Technology in Education. Design. Adapt. Develop. Align. Customize. Personalize. Inform. Enable. Assess. Evaluate. No Child Left Behind, Common Core, and ISTE all promote the incorporation of technological tools into the student learning environment. While most teachers have at least basic skills in applications such as word processing, many are struggling when trying to implement technology outside the standard applications such as PowerPoint. Hampering teachers' abilities to utilize the many digital tools available on the Web today is the still-present issue of lack of access. Too many students at the K-12 levels still have little to no access to the Internet away from school and too many schools--such as where I teach--do not have sufficient equipment available for teachers to use on a regular basis. As a technology teacher, I do have constant access as my classroom is a computer lab. Also frustrating is the search for viable web-based tools, though I do not know if every school has the same types of problems as those I and other teachers encounter at my school. For example, email capability promotes collaboration, but students are not permitted email access on school computers and person electronic devices are likewise prohibited; therefore, any web-based application must be one that a student may access without having to first sign up and verify using an email address. Because of the differences between teacher permissions and student permissions in my district, a teacher might find an excellent learning tool, only to discover that students are not allowed access to the website. The courses I have taken in the Master of Science in Instructional Technology program at The University of Southern Mississippi have given me experience with many web-based tools and assessments. Not all of the tools I have tried in this program are available to me in my classroom, due not only to the reasons mentioned, but also because some tools allowed only a short trial period at no cost. Despite these frustrations, I will continue to search for--and will have my students search for--digital resources to enhance learning and encourage collaboration. I have become skilled at the "adapt" skill in this standard for the very reasons I have mentioned. Very often this adaptation results in having to show the students from my screen with written instructions on how to access from home, but I do still at least introduce new tools, even when we cannot all work with the tool in my classroom. The next section contains icons for five artifacts linking to works I created and/or participated in the creation of and which I believe are superior examples of just what this standard defines. You may click on any image to have that artifact open in a new window. In the list below I have justified my choices and you may click on the heading for each to open the artifact in a new window; any words shown in bold will open a website relating to that item in a new window. IT645 ScoopIt! (Adapt): In this standard, teachers are challenged to adapt learning using digital tools to promote student learning. 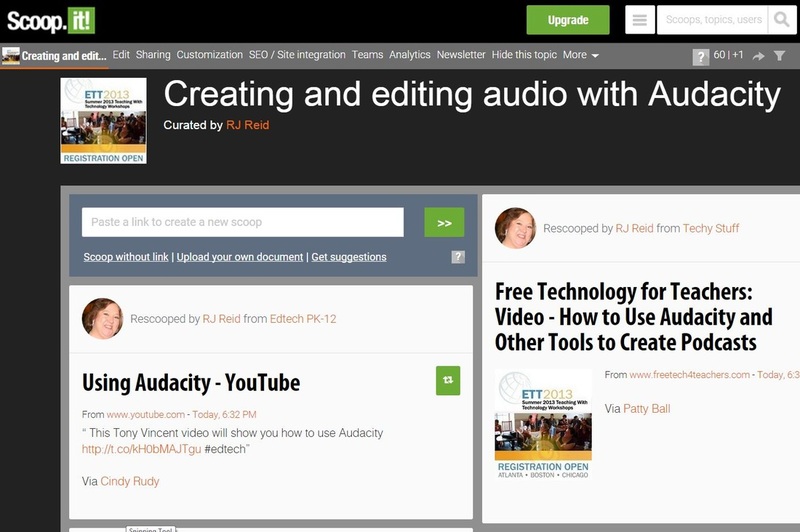 As a teacher, I might curate appropriate websites for student in a particular class using a tool such as ScoopIt! I recently saw a meme on Facebook with the statement, "Getting information from the Internet is like getting a drink of water from a fire hydrant." So very much is available, and not all of it is appropriate, worthwhile, relevant, or valid. By curating sites myself, I can save time the students might put to better use analyzing, evaluating, and using the information curated. Click on the image below or the bullet header to have one my ScoopIt! activity open in a new window. 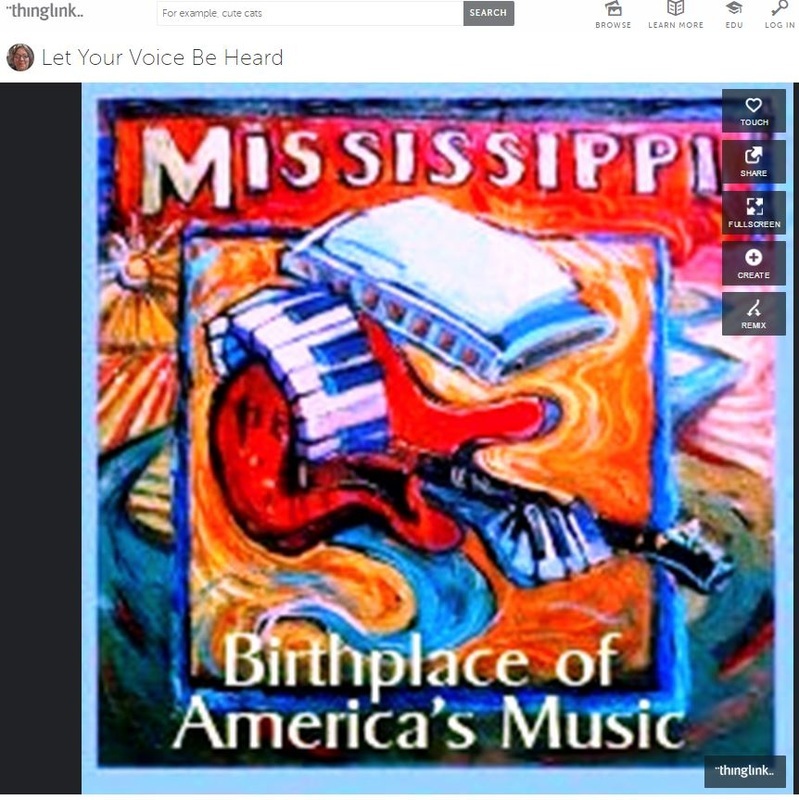 IT645 ThingLink (Active): "enable all students to pursue their individual curiosities and become active participants in setting their own educational goals, managing their own learning, and assessing their own progress" After teaching students how to evaluate web-based materials, students could--individually or in collaborative groups--create a ThingLink curation of their own, thus demonstrating the skil lsets of creativity, analysis, and evaluation. Click on the image below or the bullet header to have my ThingLink activity open in a new window. IT569 Emaze (Diverse): Not all students learn in the same way, so it is important to present information in different formats and to allow students to demonstrate understanding using different methods whenever possible. 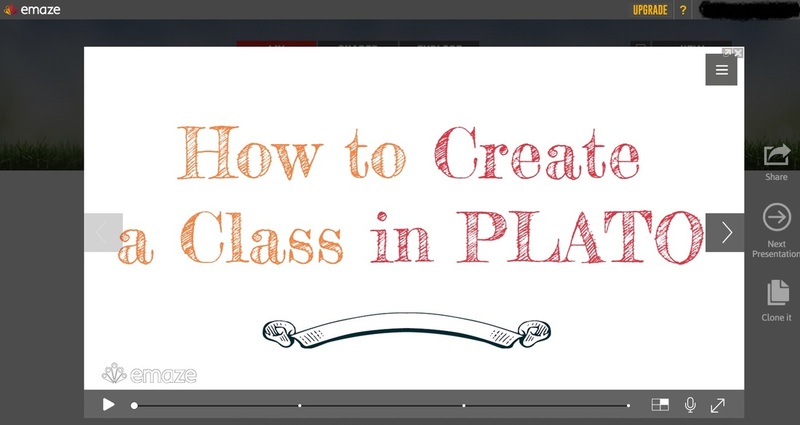 Teachers can use presentation software to combine written and visual information to further student understanding. While PowerPoint is certainly the most common presentation software, many free web-based presentation tools--such as Emaze--are available to allow teachers and students to create interesting and functional presentations and then share those presentations via the web. Click on the image below or the bullet header to see my Emaze Presentation; link will open in a new window. IT645 EasyTestMaker (Assess): As with the survey example shown under my Standard I page, Google Forms can be used to create assessments; however, not all teachers have access to sufficient computers to make using the Google Form assessment in a single class period convenient. For the teacher who still gives printed tests, Easy Test Maker is a quick, and yes "easy", web-based tool for creating tests with varied question types available. The free version only allows for PDF download and only up to 25 tests, but a premium version of the software is available for a fee which allows tests to be delivered--and automatically graded--online. I use something similar with the ExamView software that accompanies my textbooks. 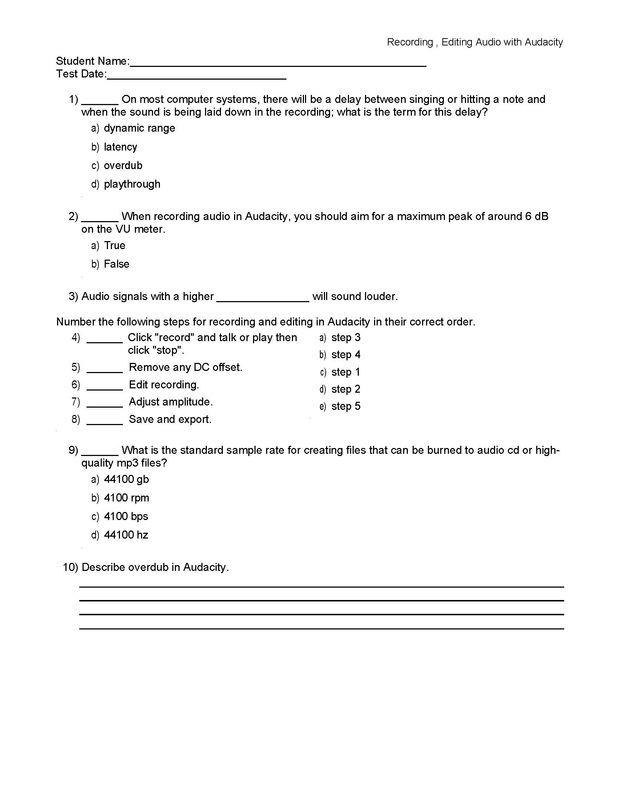 Click on the image below or the bullet header to see the PDF of my EasyTestMaker test ; the link will open in a new window. IT645 Rubistar (Assess): While question and answer assessments will always have their place, something different must be used to assess the products of creative higher-order learning. Rubistar is a digital tool that can be used by teachers to create and print rubrics for assessing the products of project-based activities. One of the true benefits of Rubistar rubrics is the ability to analyze the results, allowing the teacher to see in a simple table where the class as a whole is performing. This capability toenails beautifully with the last part of this standard, "use resulting data to inform learning and teaching". 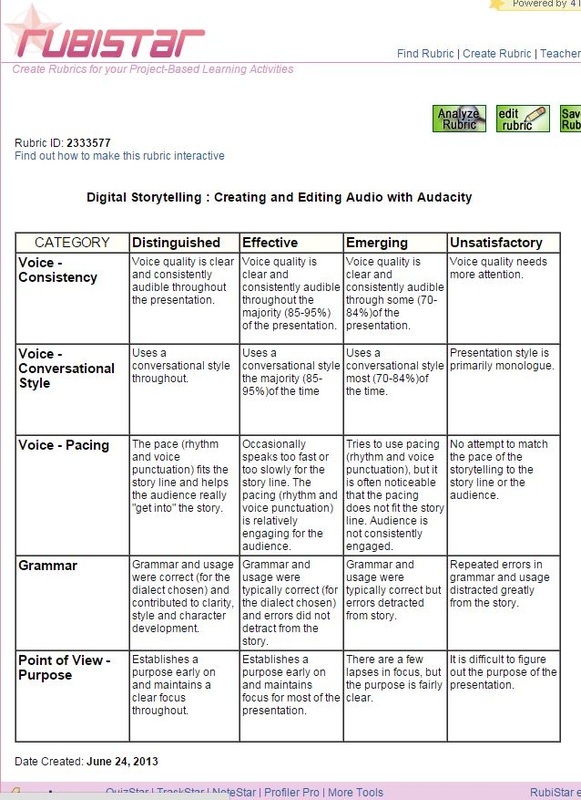 Click on the image below or the bullet header to see the PDF of my Rubistar rubric; the link will open in a new window. The tools and practices I have learned through the MSIT ﻿progr﻿a﻿m have made--and I believe will continue to made--me a better teacher. I will continue to expand upon my knowledge of new technologies and methodologies so as to continue growing as an instructor. The Business and Computer Technology curriculum framework developed by the Mississippi Department of Education mandates the minimum course content I am expected to deliver and assess for each of the courses I teach. This framework has recently been completely reorganized and rewritten and will be rolled out this year. I will learn--through trial and error, through collaboration with others, and through independent research--how to best deliver the content to my students. Copyright ©2015 Ms. Rhonda J. Reid. Last updated July 12, 2015. All rights reserved. written permission of Ms. Rhonda J. Reid is prohibited.